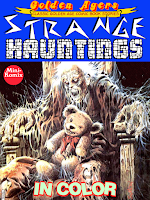 Golden Agers is stranded in strangeness again with some Strange Hauntings. Mr. L. Dedd takes you to a haunted house, a man travels back in time to the Arabian Nights to learn the fate of a tragic harem girl, a killer teddy bear goes on a rampage, a swamp monster breaks loose, a beauty contestant makes a deal with the devil, Lady Luck licks some fake ghosts, Mother Ghoul tells her own version of Cinderella, and a young woman is stalked by a hairy horror on Halloween. 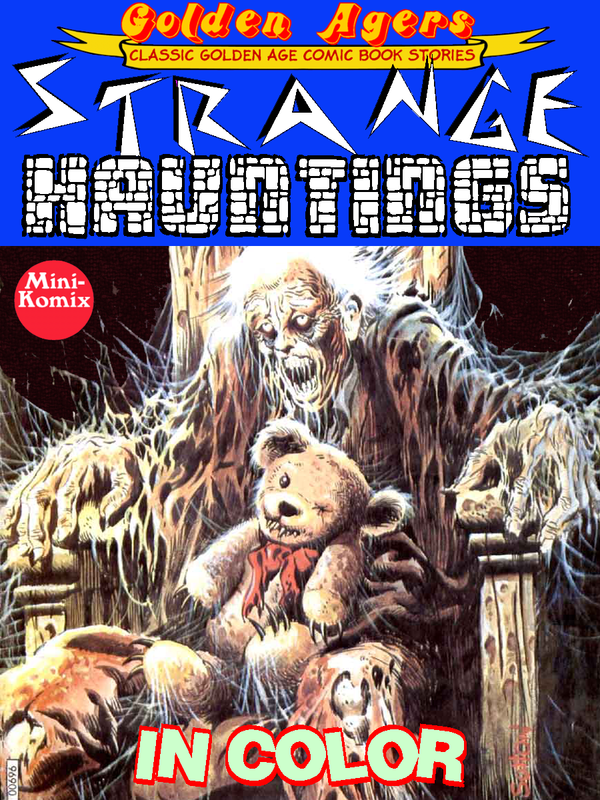 Creepy, wonderful, and weird classic comic tales. You can download this now at Drive Thru Comics, and as part of the Golden Age: Strange Series Bundle.